This article by Carol Stern is reposted with permission from Educational Activities . Please see our song suggestions below! 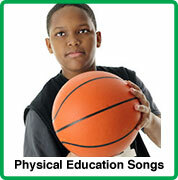 May is National Physical Fitness and Sports month, so this month’s blog focuses on physical fitness in the classroom. Everyone knows that being physically active is good for you. There are obvious benefits to being active. For instance, it helps reduce the risk of obesity and it helps build and maintain healthy bones and muscles. But did you know that physical activity also has some very important benefits for children in the classroom? Regular activity has been shown to reduce anxiety and depression in children and adolescents. 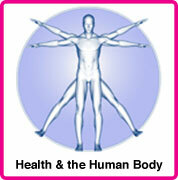 Additionally, aerobic activity produces brain chemicals that promote a feeling of well-being. Team sports and physical activity have been associated with improved self-esteem, better nutrition and less smoking and drug abuse among children. Additionally, studies also show that physical activity fosters leadership skills and empathy in children and may also reinforce healthy lifestyle behaviors. Many schools don’t have gyms. Therefore, they don’t offer children the amount of physical activity needed to be successful. Some have even cut out recess – a time for free play – from the school day entirely. Here are some ideas you can use in your classroom to help your students get the physical activity they need. Start the day off right with a quick 10-minute yoga sequence. Grab your students’ focus right from the start. 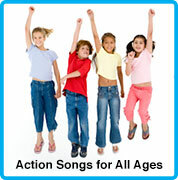 Creative Yoga Exercises for Children incorporates relatable animal activities that are easy for children to learn. During reading time, read a book aloud while the children walk around. When they hear an “action word” (verb) have them act it out. Lessons on the go – Walk to an area (either indoors or out) where you can focus on your topic. For instance, if you are studying measurements, take the kids to different areas of the school to practice measuring different objects like the height of a step or the width of the hallway, let the kids stretch, squat and move around. Hopscotch math – Have kids answer math questions by hopping onto the correct numbers on the floor. 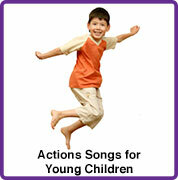 Acting out – Try reviewing vocabulary words by playing charades. Children will act out the words as others try to guess them. Take your science lesson outside – if you teach in an area where you can take the kids outside to experience hands on science, do it! Take short (3-4 minute) activity breaks throughout the day to get the blood pumping, relieve boredom, reduce tension and increase your students’ level of alertness. A good way to do this is with music. 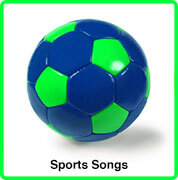 Silly Willy Workout is an engaging album with songs that can be used individually for short breaks, or the entire album can be used as a physical education class. Most importantly, don’t forget to stress the importance of being physically active to your students. According to the CDC, children should have at least 60 minutes of exercise per day. Encourage them to go to the park after school or participate in a sport. For more information about the importance of children’s health on learning, visit the CDC’s Healthy Schools website.